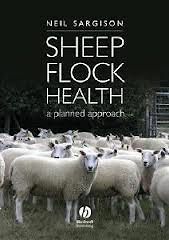 Sheep Flock Health: a planned approach is a practical guide to the diagnosis and management of production limiting diseases of sheep. The problem-based approach helps both farmers and veterinary practitioners identify health problems. The focus is on good management practices to prevent disease in the first place and to optimise production. The emphasis is on overall flock health rather than treatment of individual animals.